One of the key figures in the new wave of Mexican films, Alejandro González Iñárritu has managed to bring something intriguing to the world of film. His unflinching depictions of death and despair often speak to the universal struggles and complexities within humanity. Recently winning an Oscar for his fifth film, and currently working on his next feature, Iñárritu has already become a major name in the film industry. Born in Mexico City on August 15, 1963, Alejandro González Iñárritu is the youngest of seven children. The experience of spending a portion of his youth traveling across the Atlantic had a profound effect on Iñárritu. While working in the radio industry, he decided to form a production company, called Z Films, with Raul Olvera. The company specialized in shorts and advertisements. It was around this time that Iñárritu met the renowned Polish theater director Ludwik Margules, who taught him the important elements of drama. After spending several years working under the guidance of Margules, as well as studying under the tutelage of Judith Westion, Iñárritu used that knowledge to create TV pilots for his production company. 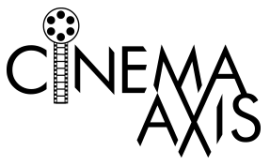 Z Films eventually became a key proponent in the growing movement in Mexican cinema known as Nuevo Cine Mexicano. After meeting Alfonso Cuarón and Guillermo del Toro, two key figures in the movement whom each had their own brushes with Hollywood, Iñárritu realized it was time to follow his passions into the world of filmmaking. Fascinated by class and social divide in Mexico City, Iñárritu decided he wanted to make a film that explored these themes but had very little experience in writing screenplays. Teaming up with Guillermo Arriaga, a professor at the Ibero-American University who had aspired at being a screenwriter, Iñárritu created Amores Perros, a film that became the first in a trilogy that explored the notion of death. Amores Perros is a multi-layer tale involving three characters of different social standings. The first is a young man, Octavio (Gael García Bernal), who is love with his brother’s wife, attempting to make money through dogfights. Then there is the magazine publisher, Daniel (Álvaro Guerrero) who is involved in an affair with a model until an accident sends his life upside down. Lastly, there is the hitman, El Chivo (Emilio Echevarría) living in dire conditions who discovers his target is related to the man that hired him. With the help of Guillermo del Toro and Alfonso Cuarón, Iñárritu was able to enlists the services of up-and-coming cinematographer Rodrigo Prieto, Argentine composer Gustavo Santaolalla, and renowned sound designer Martin Hernandez. Iñárritu also got the services of production designer Brigitte Broch who had worked with Cuarón as well as Baz Luhrmann. Iñárritu opted to go for a guerilla shooting style to enhance the overall realism. Things became a bit too real for the production when Iñárritu and his crew were robbed by local street gangs. Despite some minor setbacks, Iñárritu was able to finish the film on time though the cross-cutting narrative made the editing process very difficult. Amores Perros made its premiere at the 2000 Cannes Film Festival where it won the festival’s critic’s week prize. The film gained rave reviews around the world and received both a British Academy Award nomination and an Academy Award nomination for Best Foreign-Language Film. 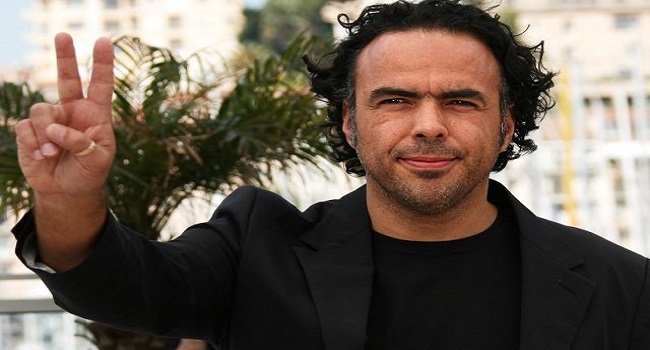 The film’s success not only helped raise the visibility of Mexican cinema, but also made Iñárritu an important name in cinema. 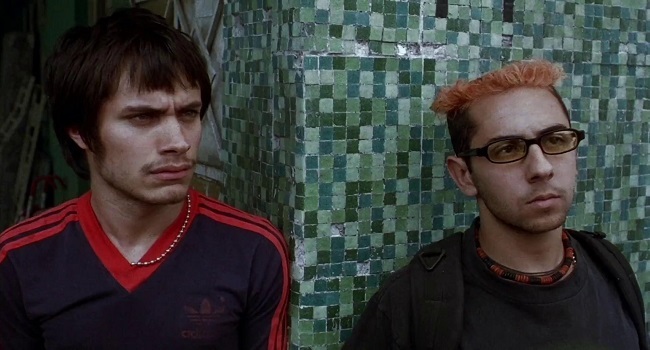 The success of Amores Perros gave Iñárritu some major attention worldwide and provided him the chance to take part in a short-film series for BMW called The Hire which starred Clive Owen. With Arriaga and David Carter co-writing the script, Iñárritu’s short, Powder Keg, revolved around a wounded war photographer who is rescued by Owen’s driver character. Iñárritu hired renowned cinematographer Robert Richardson to shoot the short, while Stellan Skarsgard was cast as the photographer. Filled with a sense of grit and terror, Powder Keg was considered one of the highlights of the series. Another project Iñárritu took part in was an anthology film inspired by the events of September 11, 2001. The project featured contribution from prominent filmmakers like Ken Loach, Claude Lelouch, Mira Nair, Amos Gitai to name a few. Each short had to be eleven minutes and nine-seconds in length and one frame. Iñárritu kept his film simple by showing brief images of the attacks and relied heavily on the somber sounds to speak for themselves. Iñárritu ended his short on an ambiguous note with questions about God’s will. Alejandro González Iñárritu’s next film, 21 Grams, continued his Death Trilogy but with a bigger budget. The film centered around a tragedy that connected the lives of three different people. One of them is a born-again Christian trying to find redemption; another is a former drug addict who loses her family; and lastly there is the ailing mathematician who received a heart transplant from the man who died in the accident. With another unconventional script from Guillermo Arriaga, Iñárritu’s film was small in scale but still ambitious in scope. Iñárritu diverse ensemble was anchored by Sean Penn, Naomi Watts, and Benicio del Toro in lead roles. The rest of the cast included Charlotte Gainsbourg, Melissa Leo, Danny Huston, Eddie Marsan, Denis O’Hare, Clea DuVall, and Paul Calderon. Grimmer in tone than his previous film, the cast helped Iñárritu to explore themes of existentialism and death in a captivating way. 21 Grams premiered at the 2003 Venice Film Festival where Sean Penn won the festival’s Volpi Cup for Best Actor. Released through Focus Features in December of that year, the film was a critical and commercial success making over $60 million worldwide against its $20 million budget. 21 Grams won numerous critics awards including a Best Actress prize for Naomi Watts from the L.A. Film Critics Association. Watts and Benicio del Toro earned Oscar nominations in the Best Actress and Best Supporting Actor categories. 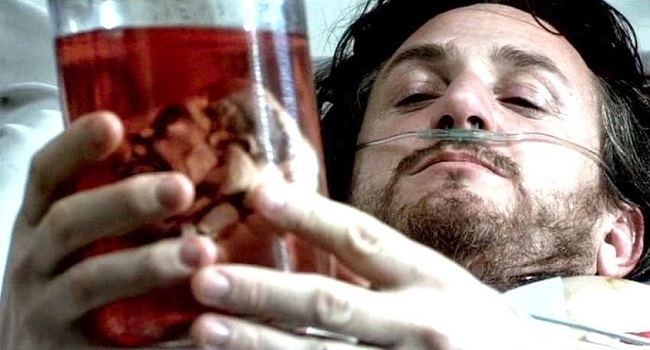 The success of 21 Grams gave screenwriter Guillermo Arriaga more visibility within the industry. His screenplay for The Three Burials of Melquiades Estrada won Arriaga the Best Screenplay prize at the 2005 Cannes Film Festival. 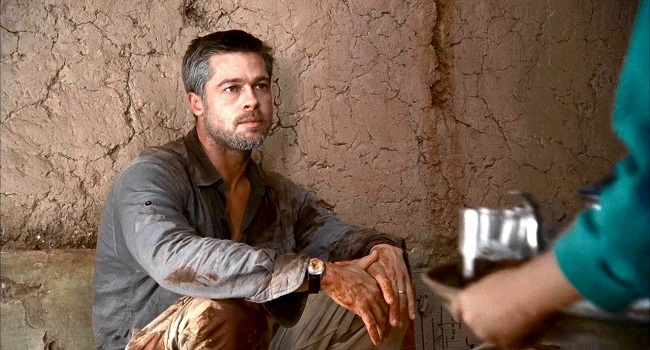 While Arriaga’s career took off, tension brewed between himself and Iñárritu over the authorship of Babel, the final film in the Death Trilogy. Babel was set in three different continents and focused on the one incident had a tragic ripple effects along cultural lines. The globe spanning tale starred Brad Pitt and Cate Blanchett as an American couple, coping with a recent loss, whose trip to Morocco is thrown for a loop when a stray bullet hits Blanchett’s character. Another story involved the couple’s children being taken cross the border by their nanny (Adriana Barazza) to attend her son’s wedding. The third arc revolved around the coming-of-age of a young deaf woman (Rinko Kikuchi) who is still reeling from the loss of her mother. Iñárritu filled out his supporting cast of his $25 million budget production with regulars such as Gael García Bernal and Emilio Echevarria, as well as a diverse crop of talented actors that included Elle Fanning, Michael Pena, Nathan Gamble, and Clifton Collins Jr. The highly anticipated film made its debut at the 2006 Cannes Film Festival where Inarritu won the festival’s Best Director prize. The critical and commercial success propelled the film to a $135 million worldwide gross. Babel received six Oscar nominations in the Best Picture, Best Editing, Best Original Screenplay, Best Director, and Best Supporting Actress nods for both Barazza and Kikuchi. Though Gustavo Santaolalla was the only one to walk away with an Academy Award for his score, the success of Babel was bittersweet as it marked the final collaboration between both Iñárritu and Arriaga. Following the release of Babel, Iñárritu was asked by Cannes Film Festival organizer Gilles Jacob to take part in a short film project to celebrate the festival’s 60th Anniversary. To Each His Own Cinema saw many of the world’s best directors contributing three-minute short that displayed their love of cinema. The only Mexican filmmaker who took part, Iñárritu’s film Anna revolved around a blind woman watching Jean-Luc Godard’s Contempt with her boyfriend. With cinematographer Rodrigo Prieto unable to take part, Iñárritu asked cinematographer Emmanuel Lubezki to shoot the short. One of the highlights of the film, Anna was very well-received by the audiences. Biutiful is a film that Iñárritu had wanted to make for a long time. He spent years working on the script with the assistance of Argentinean writers Armando Bo Jr. and Nicolas Giacobone. Fascinated by themes of death and legacy, the narrative followed a man, Uxbal (Javier Bardem), who communicates with the dead, trying to give his children a proper future before he passes away. Focusing on the final months of his life, the film explored Uxbal’s desires and struggles to be an honorable man while dealing with an ex-wife who is unable to care for their children due her alcoholism and bipolar disorder. The film was first to be release Cha Cha Cha Films, the production company he co-founded with Alfonso Cuarón and Guillermo del Toro. Iñárritu shot the film in chronological order, which was quite unusual considering his previous works, and employed a predominantly non-professional cast of actors. Although the shoot ended in February of 2009, the post-production took over a year as Iñárritu split his time working on the film, several smaller projects, and producing films such as Rodrigo Garcia’s Mother and Child. Biutiful finally made its premiere at the 2010 Cannes Film Festival where Javier Bardem co-won the festival’s Best Actor prize (which he shared with La nostra vita’s Elio Germano). Bardem also received a Best Actor Academy Award nomination for his work in the film. While Biutiful did earn some good reviews, many critics were unhappy with both the film’s bleak tone and its 147-minute running time. 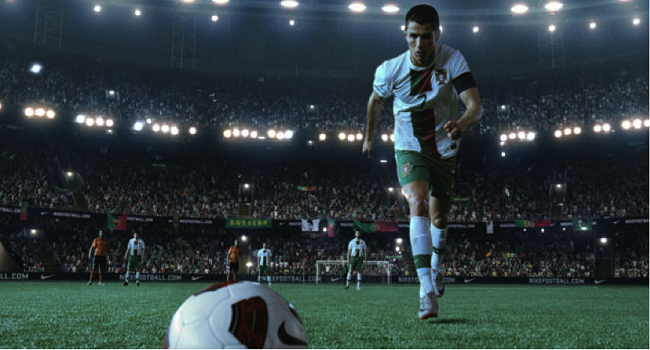 During the post-production for Biutiful, Iñárritu was approached by Nike to make a commercial for the 2010 FIFA World Cup in South Africa. Being a soccer fan, Iñárritu’s work represented both the large scope of the World Cup is and why it connected with so many people worldwide. The star-studded stylish spot featured mega-stars as Cristian Ronaldo, Wayne Rooney, NBA icon Kobe Bryant, and many more. The commercial can be seen here. In 2012, Iñárritu made an experimental short film, Naran Ja, for ballet choreographer Benjamin Millepied. The film was a video exercise that emphasized dance and movement. 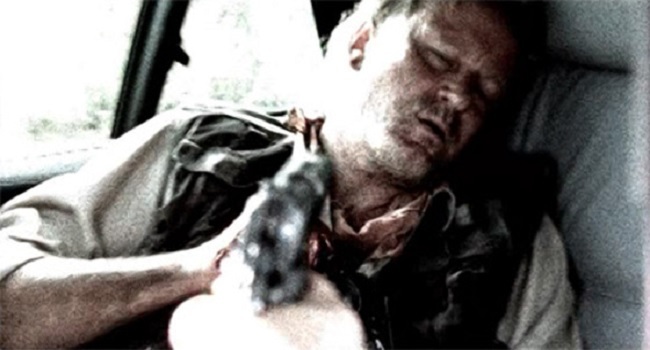 Shot in the Californian mountains, and in a stream of consciousness style, the short was presented in a way that gave the perception that it was shot in one entire take. Naran Ja’s structure became the basis for Iñárritu next film Birdman or (The Unexpected Virtue of Ignorance). The short can be seen here. The Naran Ja short was a turning point for Iñárritu creatively as it propelled his desire to make a film that was both complex and challenging stylistically. 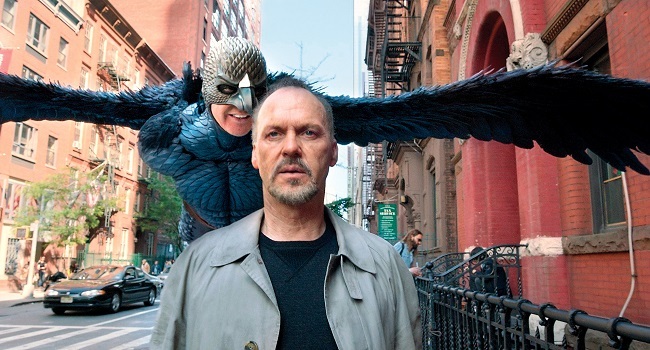 The result was Birdman or (The Unexpected Virtue of Ignorance Ignorance), a dark-comedy about a former Hollywood movie star (Michael Keaton) who tries to mount a comeback by staging a play of Raymond Carver’s What We Talk About When Talk About Love. The film was structured in a way that gave the illusion that it took place entirely in one take. Iñárritu chose Michael Keaton for the lead role of Riggan Thomson as his real life success playing Batman in the late 80s/early 90s mirrored that of the characters. Reuniting with Naomi Watts, who appeared in the film as an actress looking for her break, the rest of the cast included Emma Stone as Riggan’s daughter, Andrea Riseborough as Riggan’s girlfriend and co-star, Edward Norton as an egotistical actor joining the play, Zach Galifianakis as Riggan’s agent, Amy Ryan as Riggan’s ex-wife, and Lindsay Duncan as a notorious theater critic who hates Hollywood actors. During the film’s production, Iñárritu brought in friend and jazz drummer Antonio Sanchez to do the film’s score. Birdman required several months of editing and post-production wizardry to give the film its unique feel. The film made its debut at the 2014 Venice Film Festival and was a major hit at the festival. Birdman was a critical and commercial smash hit that grossed $103 million against its $18 million budget in limited theatrical release. Nominated for nine Academy Awards, the film walked away with four awards including Best Cinematography, Best Original Screenplay, Best Director, and the coveted Best Picture prize. Iñárritu became the second Mexican director to win the director prize, his friend Alfonso Cuaron won the award the year prior for Gravity, a feat that capped off an incredible year for the filmmaker. Iñárritu’s upcoming film is a project he has been attached to since 2011. The Revenant is an adaptation of Michael Punke’s novel about fur trapper who seeks vengeance after he is robbed and left for dead shortly after being mauled. The story is partially based on the life of the frontiersman Hugh Glass (played by Leonardo DiCaprio). The film finds Iñárritu delving into the western-thriller genre for the first time. 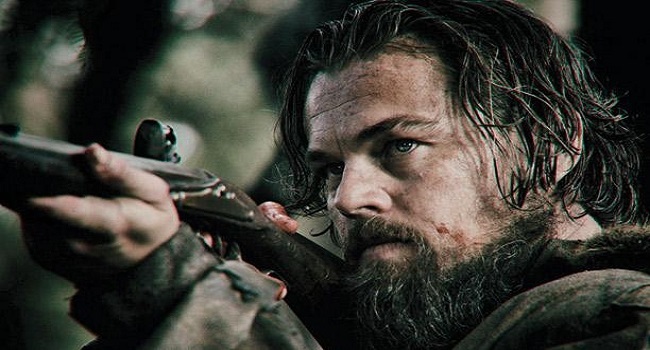 The Revenant is set for a limited release on Christmas Day of this year. With five feature films to his credit, Alejandro González Iñárritu is certainly one of the best filmmakers working today. He is willing to tell stories that are grim and unsettling while still keeping his characters relatable to audiences. Iñárritu finds hope in misery and manages to create films that touch on universal emotions. Love this post! My experience with Inarritu is fairly limited, but I absolutely adored Birdman and Babel, and I reviewed Birdman on my own blog, as well. I am going to scroll through the rest of the series and see what else there is to read! Thank you. There’s more in my other blog where the ones I haven’t posted on this site can be found in my other one starting in 2010 to the summer of 2013. Great post! With such a success following Birdman, I’m extremely curious to see what he brings with The Revenant…plus Leo’s performance! Thank you. I too am looking forward to the The Revenant as well to see what Leo will do.